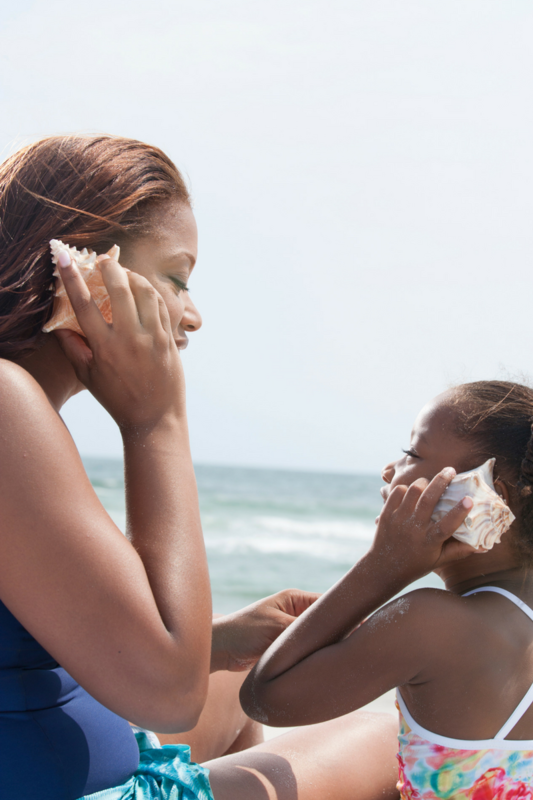 Are you a stay at home mom or a homemaker, either by choice or circumstance? Do you wish to work from home while you carry out your motherly and wife duties? Have you been thinking of leaving your paid employment to start a business? Or are you a full-time working mom that desires to have a side business or another stream or source of income? If you answered yes to any of the questions above, then you will love this. This is not an article to condemn the full-time working moms because, in my opinion, they are doing a fantastic job that is pretty difficult for many. I have actually been there, It was a whirlwind of waking up very early, have my quiet time, take my bath, pack the kids lunches, make their breakfast, wake the kids up, bathe them, dress them up, serve their breakfast, feed them, dress up for work, drop them off at school, rush to work, close from work, pick the kids up from school, make dinner, eat dinner, give them their bath, put them to bed, have my bath, chat with hubby for a while, read my bible and pray, off to bed and wake up to the same cycle!! Whew! Ok, while that was an experience I miss, it was never where I wanted to be. Before I got married I dreamt of being there for myself, husband, children, family, and friends as much as I can, while working on my own from home. Most especially my children. Leaving them at the mercy of anyone was just heartbreaking for me. In fact, I had a fair share of maids and nannies of all shapes and sizes all in the name of easing the stress but on the long run, it was more stressful than it was without them. Aside from missing out on the very important milestones in their life, I want to take them to school and pick them up myself because riding on the school bus comes with a lot of ills, like having to wake them up way earlier than I should, a freedom zone for most bullies to unleash and so many others. I also want to drive them for artistic programs they love, like Piano lessons, Dance/ ballet classes, Soccer, Basketball, guitar lessons, violin lessons, gymnastic lessons ( which has been the song in my ears in recent times) and others. I wish to help develop and pursue their innate potentials especially when they are at a very tender age. I wish to volunteer at their school to help out when I can and get a feel of how the school is treating them. I’d love to drive them to their soccer games and other activities, share in their victories or challenges when they get to middle school or higher classes. I want to take them to the local library to read and learn more. I want to attend the various programs that need my attention in their school like parent/ teachers meeting. I’m elated when I can sit with them to go over their school work with them, check their homework, read with them, teach them to cook and share the word of God with them. I want the liberty to take them out at will, to the park, swimming, church and other fun places. All of these I can do without having to report to an office at a specific time and leave at a designated time, but be able to build an empire as a boss girl right in the heart of my home while achieving all my dreams. The blogging journey is not a new one for me. I tried my hands on blogging some years back, but I did not make it past my first post that attracted likes and compliment from my family, friends and loved ones, due to lack of adequate facilities, resources, and information. But when you are well equipped with the right information, resources, and community, you will definitely thrive. My blogging mentors now make $98,000 on a monthly basis and they succeeded in instilling so much knowledge in me. My blog journey is going to clock four months this month. I used the first two months to set up my website, social media platforms and grow my following. I decided to monetize my blog the third month and by the second week, I made that decision I made my first $65, woohoo! That was a life-changing and defining moment for me because not only am I fulfilling and achieving my purpose, I am also making money and impacting lives at the same time. Plus it just struck me that even my girls will grow up and this website will be a useful resource they can always refer to for help. What more can a fulfilled me ask for? There are countless ways to make money from blogging and if this is a road you will like to tour, start here. Choose a niche that interest you. We all have things that come to us naturally, that even if someone wakes us up to do, we will do brilliantly well. Write about those things and I’m sure your target audience is out there earnestly waiting for you to reach out to them through your content. Do not write or focus on a niche just because you know some people in that niche making six figures, that will be a total disaster even before you start it. I will be deceiving myself if I do travel blog for instance because I do not love to travel, I have a serious phobia for traveling and heights, I practically need to psyche myself up to travel way ahead of the trip. So choose carefully the niche you are naturally in love with or you are an expert in. I have come across a wide range of beautiful teacher blogs that are really doing awesome because that’s their area of specialization. Choose a domain name (your address on the www – worldwide web) for your website that may relate or not to your niche, then verify if the name is available before purchasing the domain name by making a list of possible names. I view my website as my second home and it is absolutely peaceful there – www.godfidencefabgirls.com. Godfidencefabgirls is the domain name that I bought to have my website address. Get your own self-hosted website on WordPress with Bluehost. It is the best web hosting now starting at 3.95/ month. You will get a free domain, free site builders, 1 – click WordPress install and 24/7 support. It’s as affordable as $59.40 a year. Imagine you pay $3.95 a month for your second home. Amazing right? Start here. steps are; choose your preferred plan, enter your available domain name, create your account, fill your account information, fill your payment information, agree to the terms and conditions and there you have your website. Watch out for emails from the Bluehost and follow the instructions. Remember this is the best option to make money with your blog. Sign up for a good email list subscriber service. This is what your subscribers will use to sign up to your own website. The free one is MailChimp but I recommend you use Convertkit because it is easy to use and customize. Choose a theme. You can either use a free theme or a paid theme depending on preference. Design or order your Logo. The logo set you apart from any other site. Be creative with it but don’t complicate it. Write an About Me page. Introduce your blog to the world through your about me page. Write your first blog post and about 10 or more blog post before sharing your website with the world. Create social media accounts on Facebook, Instagram. Pinterest and Twitter. Share your post on the social media platforms and network with other fellow bloggers to gradually gain traffic and new insight. The first step to making money with your blog is to register for affiliates programs. There are so many to choose from but be careful not to overwhelm your website with too many adverts so as not to repel prospective subscribers or readers. I recommend starting with Amazon affiliates. Affiliate allows you to advertise a company or product on your website, for which you get a commission or percentage of the sale made. A valid example is Bluehost. I get a commission of any sales made through my site. There are many more opportunities available to monetize your blog. 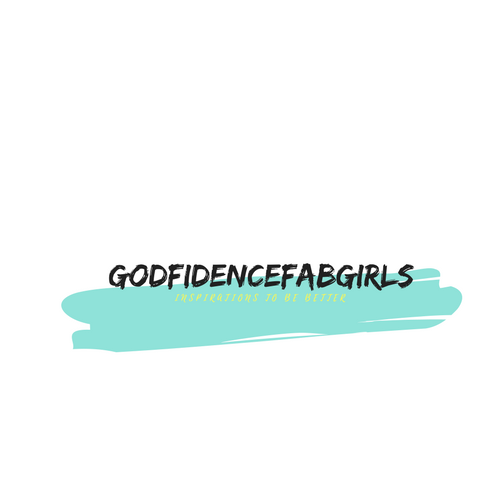 Feel free to reach out to me for questions and follow-up help when you set up your blog with my link by sending an email to godfidencefabgirls@gmail.com using the subject NEW BLOG. This is very important because I will teach you how you can use this single platform for multiple purposes. Good luck and remember You can do whatever you set your mind to do. Also, support and urge your girls that love to write to blog. It is very liberating. Electronic commerce is any business or commercial transaction that involves the transfer of information across the internet. This is a very reliable and viable business that a stay at home mom can do. It is a new venture I am exploring and the opportunities are limitless if you are well equipped and well-trained. Depending on the level you wish, you can start with no capital at all or with a capital too, all you need is a Website with a woo-commerce theme. I will be opening a training class about this very soon. Make sure you are a subscriber to my blog to get the information when it finally goes out. Graphic designer on Fiverr.com or other platforms. A coach in a field of Expertise. All you need is book a few client every month and coach them to be able to reach their goal. Have an online boutique by starting your own line of clothing. Mine is in the works. Write Books – Children books, Adult books, Inspirational books and others. I could go on and on. The list is endless and the possibilities are also endless, once you have the right guidance and you work hard at it. Also, take note that nothing good comes easy. So be ready to pay the price of hard work to carry out your goal. A good way to get started is to look for online courses you can do become an expert in this fields. Websites like Udemy, Groupon offers such courses either free or very affordable. A very important tool needed to keep you focused and meeting your daily target is a daily planner. If you subscribe after reading this post I have attached a daily planner for your free download, all you have to do is print many copies and use. Fill the planner first thing every morning and keep in a folder at the end of each day to get organized. To all the full-time working moms, I say well done and keep up the good work you are doing. If you find this post useful in any way please do leave a comment below. Previous post Back To School Or Bullying? Next post Girl’s Guide To Social Etiquettes. I loved this article it was very informative. I am new to blogging myself and it is great to get some help. Awesome Corinatime. Thanks for reading. I’m a new blogger myself so it was so encouraging to read your process and success. Your long-term thoughts on the value of blogging were also very encouraging to me. Thanks for sharing! Great post! I want this!! To be the BOSS MOM!! I want to have the flexible schedule so that I can be there for my husband and kids. I’m a stay at home mom and I started re-blogging July 2017 and I’m doing everything right this time because I want this to be my job. Thanks! Yes Yolanda! We totally got this. Great information! And that park looks like a lot of fun! Thanks for all of the creative ideas to support a working family from home while still managing to still be present for your children. Just reading that list at the beginning of your post made me tired – and I do those things all day! II have been very fortunate getting to be there for my daughter. I, too, am trying out blogging so I can make some money. Great tips for anyone interested in blogging. I am glad you mentioned more than just “sign up for WordPress”. It takes much more to get going and get your blog out there beyond your mom! I was fortunate to work at home and be there for my children when they were growing up. 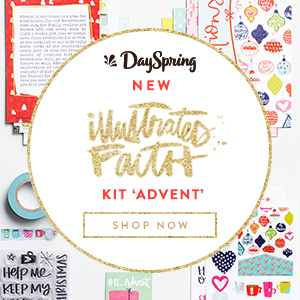 You provided great ideas for moms that want to earn money at home! That’s awesome Sheree. Thank you. I’ve been working outside the home since I was 15. I am now 42! I am starting to feel like maybe I would like to do something more on my own terms. I did all the traditional stuff–went to college, even got a Master’s, started my teaching career. I did all of that while raising two kids! I’m hoping my blog can be the answer. I’ll have to teach and blog for the time being, but someday, maybe I can blog full time. In the meantime, I’ll enjoy the ride! Great strategy Stacey! I love the spirit. Although I work part-time outside of the home, I always knew I wanted something more. I am so excited to have discovered blogging. It’s the thing that was missing from my life. Great advice! The years while your children are young fly by way too fast and anything you can do to share these moments with them is worth it! Boss Mom’s unite!! Setting examples for our children only shapes the adults they grow to be! Very informative post and congrats on your first commission! I remember that! Fantastic! Yay for the wins. I’m trying my hand at blogging also. I hope I can make money from this so that maybe one day I can become a stay at home mom. I I stayed home with my kids and also homeschooled. I don’t regret it! These are great ideas for making money online! There are so many possibilities. Great job , well written post on monetizing your blog! There are so many possibilities out there! Great job on your post! I totally relate to your description of what it was like working outside of the home. I went through that and it is definitely not easy! Great info and very relatable. Props to you! I couldn’t do it, I have so much respect for moms who stay home with their kids, especially before they start school! Thanks Courtney. I also admire your strenght. All great advice! I’m in desperate need of a planner. My thoughts go in too many directions without one so that’s definitely next on my list of things to accomplish. Thanks. Oh planners are very key to our survival. Great informative article for beginner bloggers!